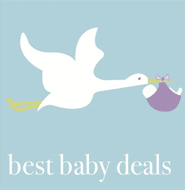 Check out all the best baby deals that are going on this week! There are plenty of diaper deals, so if you are running low on supplies, now is a good time to stock up! H-E-B – Munchkin Jumbo Pack Diapers, 23-50 ct.
Publix – $3 off Huggies Snug & Dry Diapers, 44-156 ct.
Publix – $5 off Pampers Wipes Refill, 320-360 ct. wyb Pampers Cruisers Diapers 58-140 ct.
Winn-Dixie – $1 Off Pampers Wipes, 180-360 ct.